Obituary for Jeffrey A. (Jeff) Strickler | TRAUB FUNERAL HOME INC.
Jeffrey A. 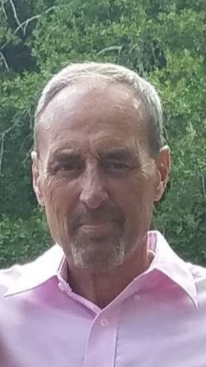 “Jeff” Strickler, 59, of Aiken, SC and a former longtime resident of Cicero, NY, entered into rest in the comfort of his home, on Wednesday, January 16, 2019, with his soulmate of twenty-one years, Debra J. Strickler (Mott), at his side. Born in Sault St. Marie, MI and a longtime resident of Cicero, he was the son of James Strickler and the late Patricia Rye Strickler. He was the former owner and operator of Jefco. Jeff had a passion for both racing and building Dragbikes. He was a member of the XDA Xtreme Dragbike Association. Additional family members include his stepmother, Nicki Strickler, Utica, NY; stepchildren, Daniel Santorelli and his companion, Caroline Belote, Syracuse, NY and Corey Case and her husband, Steven of Augusta, GA. His brother, the late Brian Strickler and six grandchildren. The family will greet friends on Saturday, January 26, 2019 from 1:00 PM – 3:00 PM at Traub Funeral Home, Route 31, Bridgeport, NY. A Celebration of Life Service will follow at 3:00 PM in the chapel. If so desired, memorials may be made to the American Liver Foundation. (www.liver- foundation.org). Visit traubfh.com to leave a message of condolence and share memories of Jeff.